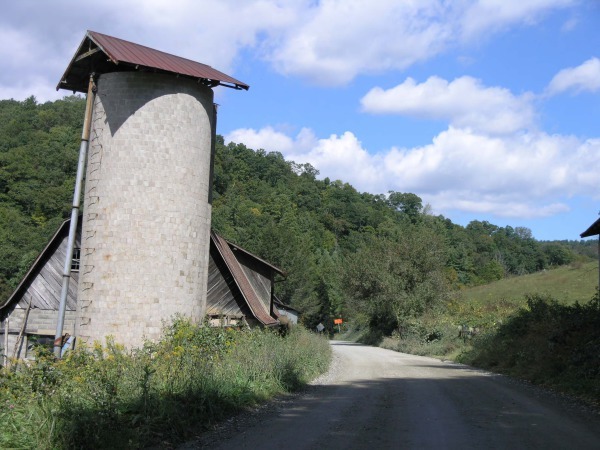 Traverse scenic back-mountain roads, less traveled secondary roads, popular rail trails, rural gravel farm roads, greenways, bike lanes and occasionally walk your bike along a sidewalk or shoulder. This is not a typical state bicycle route which follows busy roads. 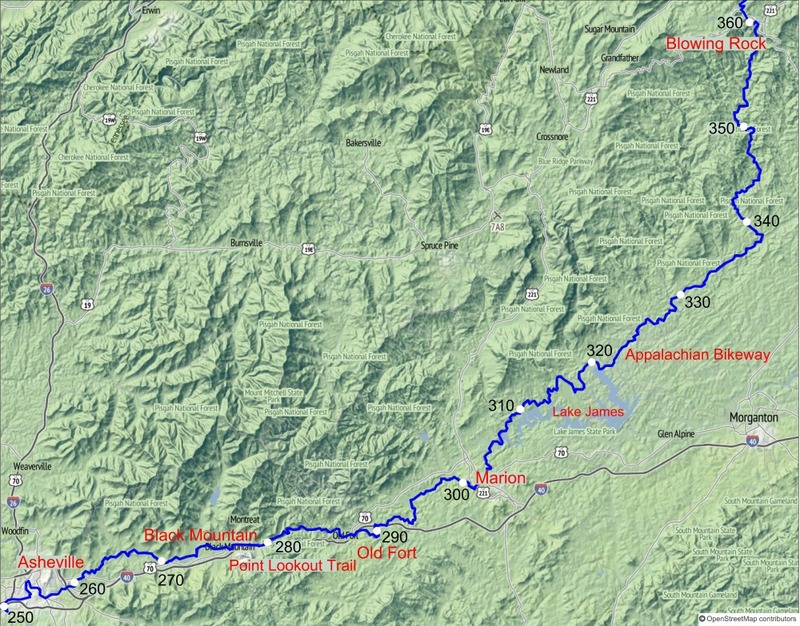 It is also not the Blue Ridge Parkway, nor the Appalachian Trail which bypasses towns & services needed by bicyclists. 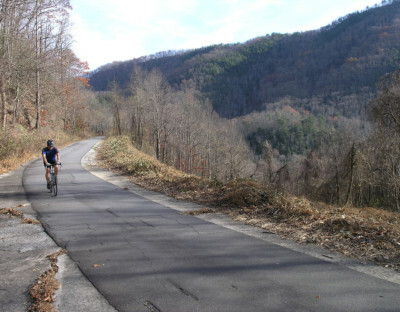 The Appalachian Bikeway emphasizes; safe riding, breathtaking scenery along mountain tops & river valleys, and low-traffic or separated biking facilities between curious mountain towns nicely spaced to provide re-suppy and overnight stops. Parts of the bikeway will naturally be strenuous since mountains have to be crossed. However, other parts will be gleefully level beside rivers. Know your level of biking experience - taking extreme caution uphill & downhill and never speed beyond your ability to stop quickly. Be watchful for other vehicles, potholes, loose gravel - and you'll definitely want to take notice of suddenly appearing wildlife. Take frequent stops to rehydrate and soak in the magnificent views. 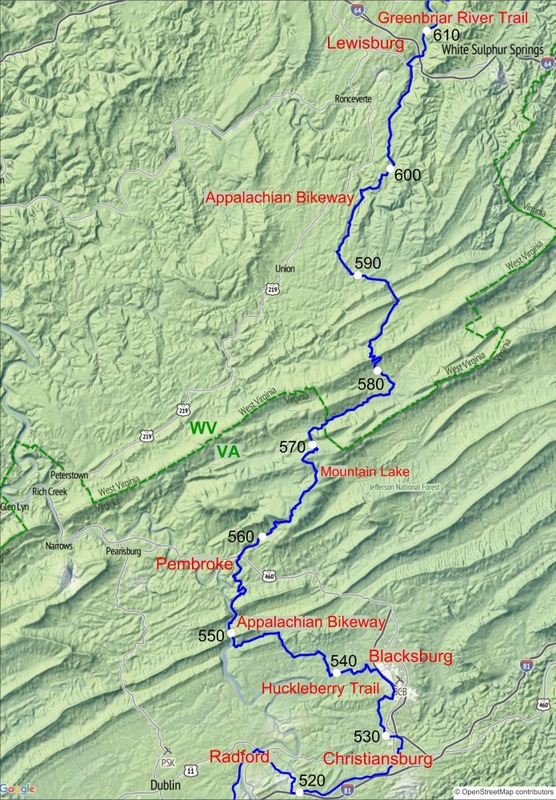 The Appalachian Bikeway began as a vision for a bicycle touring route to parallel the Appalachian Trail. It is also a vision for safer long distance bike routes. Hopefully state transportation departments will use this initial planning effort to improve bike routes whenever possible. More designated bike lanes, off-road biking facilities and bike signs are needed through the mountain regions. 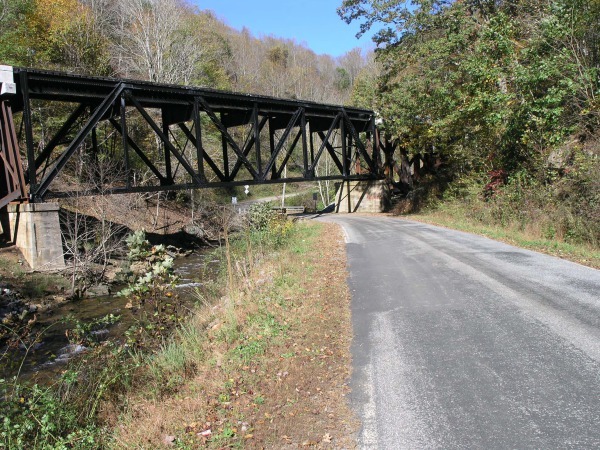 A great number of bicyclists already use many sections of this bikeway and recent transportation projects have cleared the way to bicycle the gaps between popular recreational biking routes from Georgia to Maryland. The Appalachian Bikeway begins where the Silver Comet Rail Trail extension ends in Atlanta. 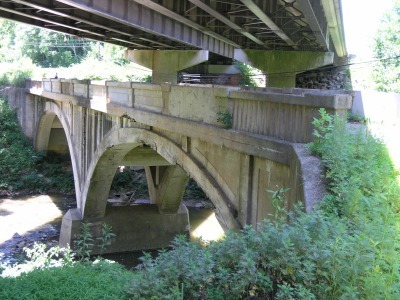 The Appalachian Bikeway ends in Frostburg at the crossing of the Great Allegheny Passage. The hugely popular G.A.P. 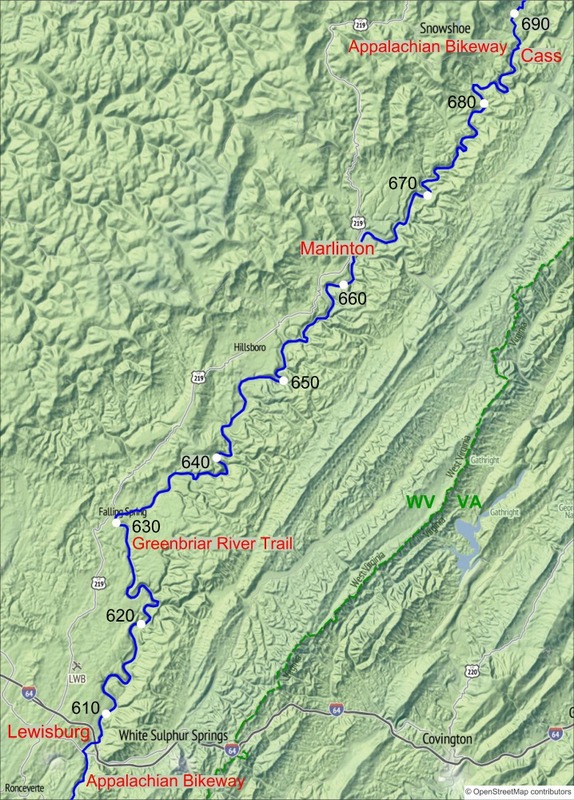 trail takes you to Pittsburg in 133 miles, or go 15 miles in the other direction and you'll arrive in Cumberland which offers additional overnight accomodations. 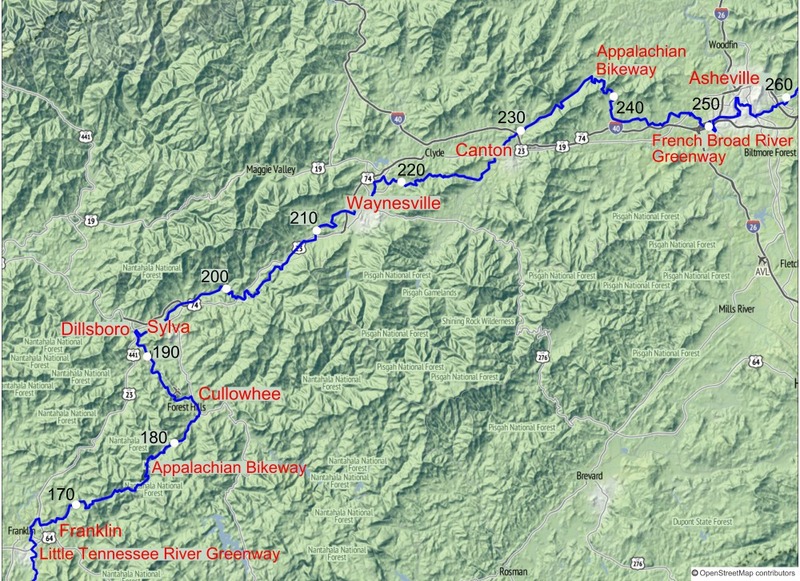 The 15 mile bike ride on the G.A.P. 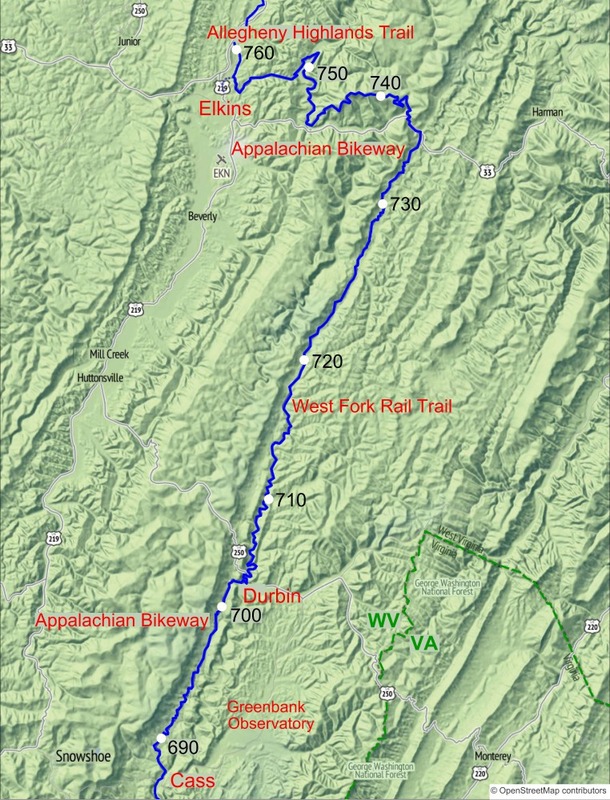 from Frostburg into Cumberland is a fast downhill thrill! 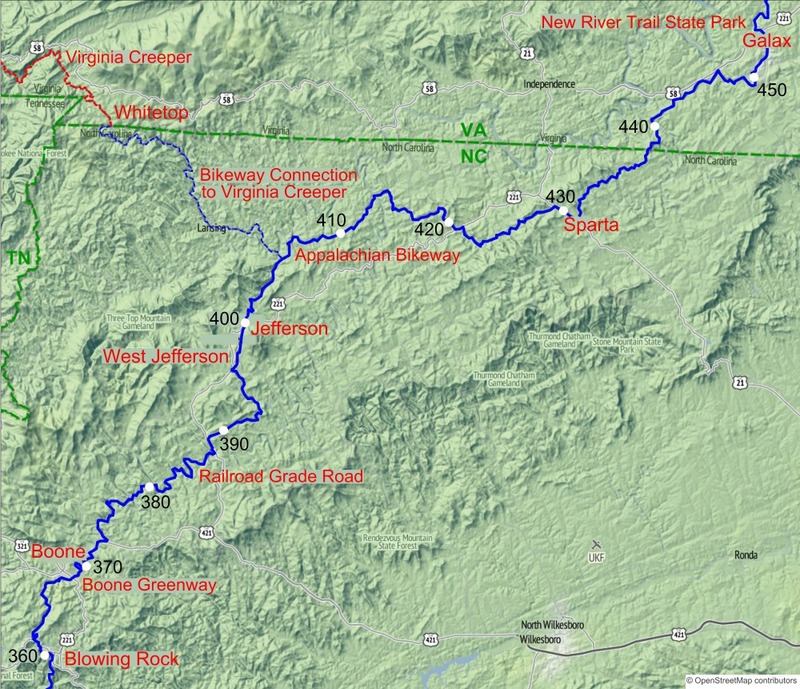 Continue on the historic C&O Canal Trail for 181 miles from Cumberland to Washington, DC. The following relief maps hint of the adventurous terrain crossed on the bikeway. Destinations have hotel accomodations, however, some have very limited selection or availability which would control your riding schedule, such as Mountain Lake and Durbin. Campgrounds would allow more flexible and spontaneous overnight locations depending upon weather conditions and how energetic your body feels.